– Added configurations for the T9.435, T9.600, T9.645, T9.700. The configurations also have appropriate horsepower and torque. 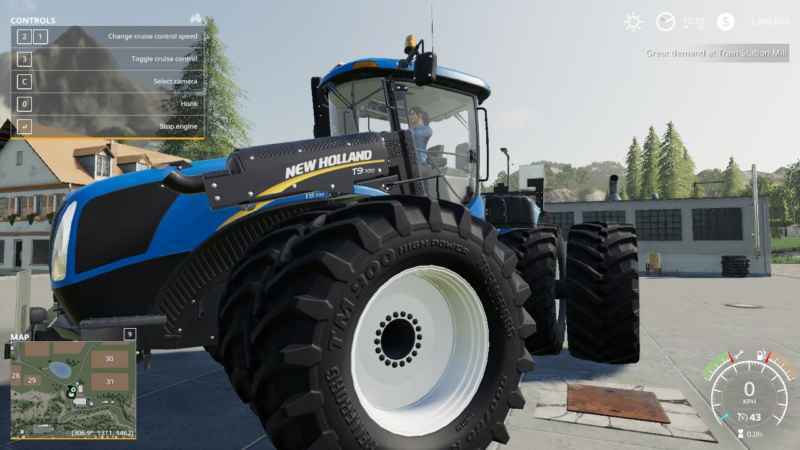 – Added more tire configurations, 900 singles, 800 and 900 duels, 520 triples. – Added fuel tank size configurations. They last 6, 7, and 8 hours respectively. – Prices have been adjusted to be more realistic (and as such more expensive.) Tires are now way more expensive and engine configuration prices are also scaled up. Everything should be working. Let me know if something isn’t working or if you have suggestions!